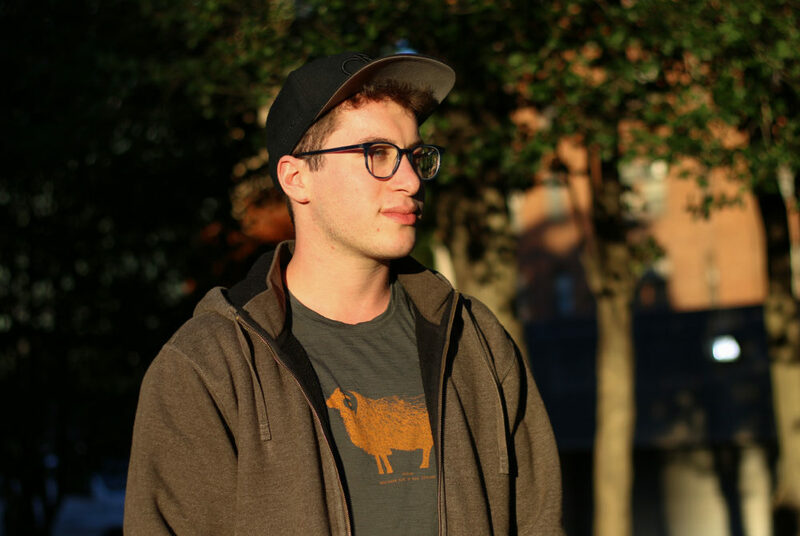 Jacob Zionts – a member of the organizing committee for GW’s Jewish Voice for Peace, an organization advocating for Palestinian human rights – said members of the group support J Street U’s petition because discussions with Palestinians could shed light on the “political nature” of the trip. Updated: Nov. 15, 2018 at 1:23 p.m.
A student organization wants students to engage with Palestinians during a traditional trip to Israel. J Street U at GW, a pro-Israel student group that advocates for a two-state solution to the Israeli-Palestinian conflict, launched a petition Oct. 23 advocating for GW Hillel’s birthright trips to include visits with Palestinians to discuss the Israeli-Palestinian conflict. Students in the organization said they hope that by including conversations about the Israeli-Palestinian conflict during birthright trips, students will be better exposed to the “complexities” of political issues in Israel. Student leaders from J Street U declined to say how many signatures the petition has garnered since posting it on Facebook nearly two weeks ago. Birthright is a program that offers free 10-day trips for Jewish young adults between 18 and 32 years old to learn about Judaism in Israel. During the trip, participants celebrate Shabbat together and visit historical sites in Israel, like Zionist heritage and Holocaust learning sites. Shira Wolkenfeld, the co-chair of J Street U, said members of the group initiated the petition because they view birthright trips as an extension of GW’s Jewish community and want to ensure that all narratives regarding the Israeli-Palestinian conflict are represented. Yoni Slater, a member of J Street U, said the petition launched during the organization’s “Breaking the Silence” event last month, when J Street U chapters at other campuses, including Johns Hopkins and Tufts universities, launched a similar petition. Members of the group have promoted petition by tabling in Kogan Plaza and posting the petition on social media channels, like Facebook, Slater said. “It’s been really amazing as a national movement to see everyone’s growth and progress, reaching people and numbers which really show how much we really want this change,” Slater said in an email. But he added that members of JVP disagree with J Street U’s proposal to “merely ‘meet with Palestinians’” because he said that participating in birthright trips reinforces the political interests of the Israeli government, which funds a portion of birthright trips. “If members of J Street U are serious about resisting the occupation, we believe it’s more powerful to refuse a free trip than to participate,” he said in an email. But some Jewish student groups said Palestinians should not be involved in birthright trips because the trip is meant to teach young Jewish people about Israel and not its political conflict with Palestine. Tali Edid, the president of GW for Israel, said J Street U should instead encourage students to explore the West Bank, a contested territory that is inhabited by both Palestinians and Israelis, and further their understanding of the region rather than incorporate Palestinians on birthright trips. Instead of including Palestinians on birthright trips, she said students should apply for Hillel’s Building Bridges program. Now in its second year, the Building Bridges program is hosted during spring break and includes a trip to Israeli and Palestinian territories to help students better understand the conflict. “I think J Street should invest their time and energy into encouraging students to extend and travel throughout the West Bank to better understand the peoples, cultures and societies of the region, instead of petitioning an organization that only serves as a provider, not an itinerary planner,” Edid said. Adena Kirstein, GW Hillel’s executive director, said members of Hillel are in “constant contact” with student leaders from J Street U and “appreciate” the organization’s attempts to forge connections between Palestinians and Israelis. She declined to say whether she thinks conversations about the Israeli-Palestinian conflict should be included in birthright trips and what the group’s conversations with J Street U leaders have entailed. “We continue to believe in the power of GW Hillel birthright trips to engage our students in thinking about Jewish identity and values, considering the deep power of being a part of a Jewish community and working to build a strong and lasting relationship to Israel,” she said in an email. Language was added to this post to more accurately describe the West Bank.